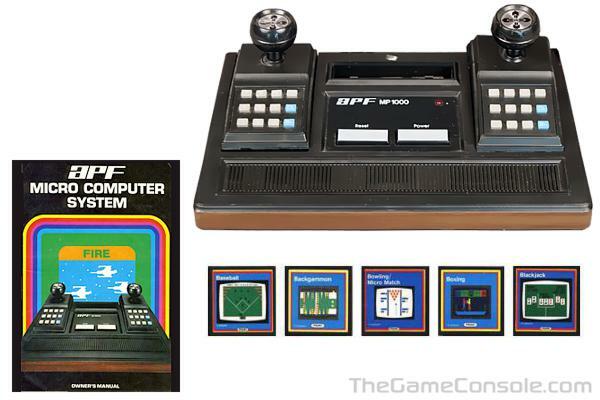 The `APF-M1000` is an early 8-bit cartridge-based game console released in 1978 by APF Electronics Inc. The controllers are non-detachable joysticks which also have numeric keypads. The APF-M1000 can only be used with a color TV and comes built-in with the game `Rocket Patrol`. The APF-M1000 is a part of the APF Imagination Machine.